shown with gracious permission of artist. more here. Asphalt base about 400 square meters, incorporating 60 tons of hot (245°) asphalt. Into the asphalt surface are impressed the titles of 43 films and 11 theater and radio plays of Rainer Werner Fassbinder. Asphaltsee is accessible and usable — in line with Rainer Werner Fassbinder. 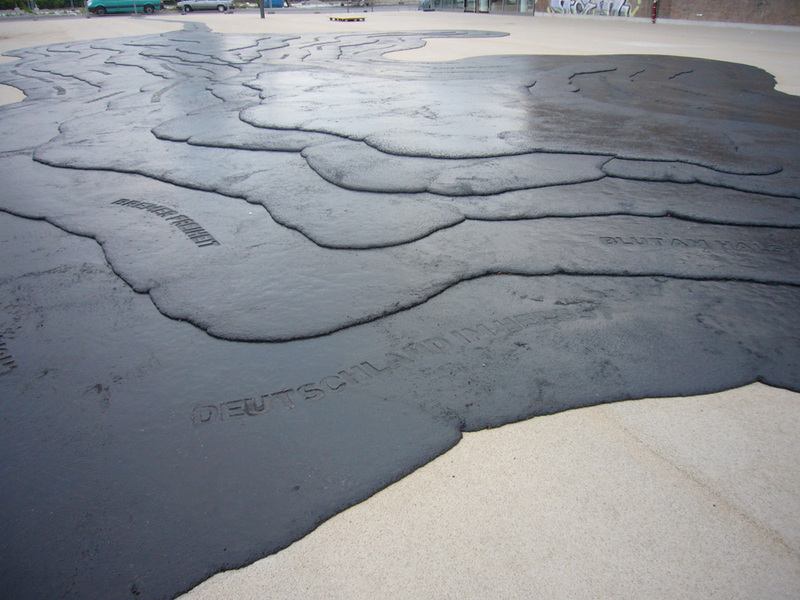 Via visualsyntax, who also points to Koch’s BauKunstWerk Asphaltkapelle (Asphalt Chapel) in the fields of the Oberpfalz (Etsdorf), where there’s an Asphaltkapellenfest — 2012, 2012, 2010, 2009, and 2008.